We have our own selection of Made in the USA equipment. But we don’t have everything you may want. The main reason people prefer made in the USA products is because it supports American manufacturing, providing jobs for Americans and improving the country’s long term economic independence. Some products are almost always made in the US, such as wood products (plyo boxes, wooden gymnastics rings), manila climbing ropes, and manila conditioning ropes. We don’t differentiate here what portion of each product is made in the US vs other countries. The reality is the raw materials, refinement, preparation and assembly sometimes involves multiple countries in some way or another. Many products out there are entirely made in China, down to assembly and labeling. If anything at all is done to the product itself in the US, we’re listing the product here as at least partially made in the USA. 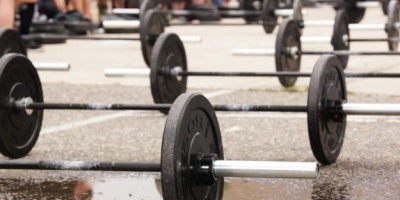 Note that we’re limiting this list mainly to strength equipment and Crossfit equipment. Rogue is the icon in the functional training / Crossfit equipment industry. They have built a reputation based on outstanding customer service, leading-edge high-quality products, sponsoring the Crossfit Games and being active in the fitness community. They have a new 600,000 sqft manufacturing plant in downtown Columbus, OH. Rep Fitness makes all their rigs in the US. That’s about it. Rep Fitness has been in business in Denver, Colorado (10 miles from Rage Fitness) since 2012, and they have earned the respect of the Crossfit crowd with their high quality equipment. They have always had favorable reviews on online forums and are good with answering questions. Rep’s equipment seems to be nearly as high quality as Rogue. Rep isn’t a “budget” option that cuts any corners. 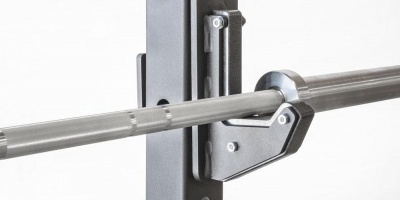 American Barbell supplies health clubs, boxes, universities, and professional athletes. Fringe offers a 365-day 100% guarantee on everything they sell. They even pay to ship it back in the first 45 days. Vulcan Strength started in 2009 in Charlotte, NC. In early 2016 when the prominent MuscleDriver USA shut down nearby, many of the folks came over to work for Vulcan. Check for the big “made in the USA” graphic on each product page on Vulcan’s site to be sure. Iron Grip makes all of their products in the US. They famously supply 24 Hour Fitness. They only make a handful of products: Urethane dumbbells, urethane fixed weight barbells, urethane plates, and bars.